Est-ce toi qui lui donne les teintes ou les choisit-il lui-même ?? C'est génial en tout cas comme cadeau !! Et puis, un log...mmmm ! J'ai hâte y de pouvoir l'admirer ! Bonne soirée avec ta famille ! 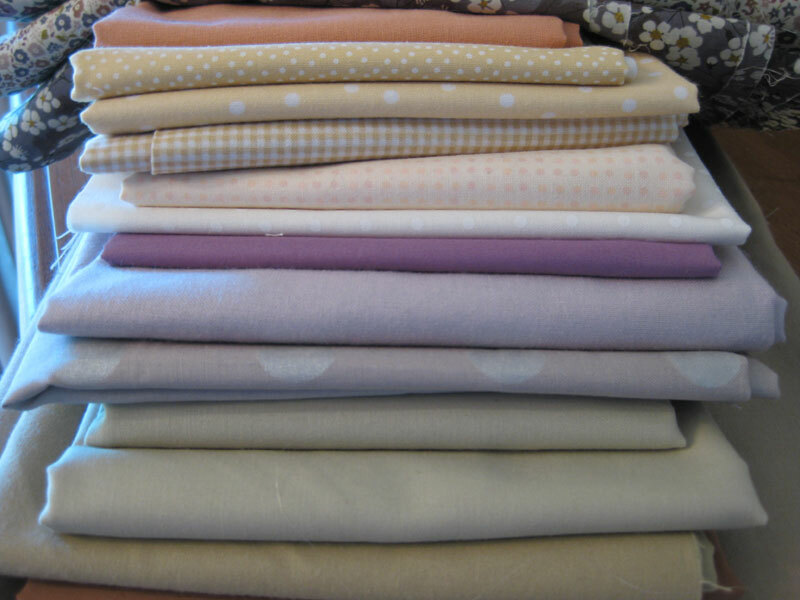 Such a nice collection of fabrics. Something to look forward to when life settles down a bit. Merry Christmas to you and your family. 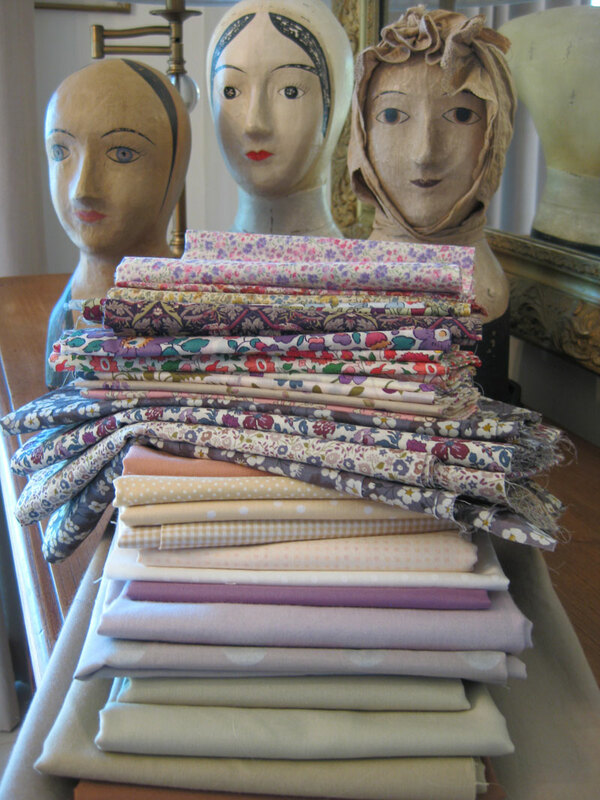 These fabrics are beautiful, I'm looking forward to seeing how you put these together next year. Season's greetings. 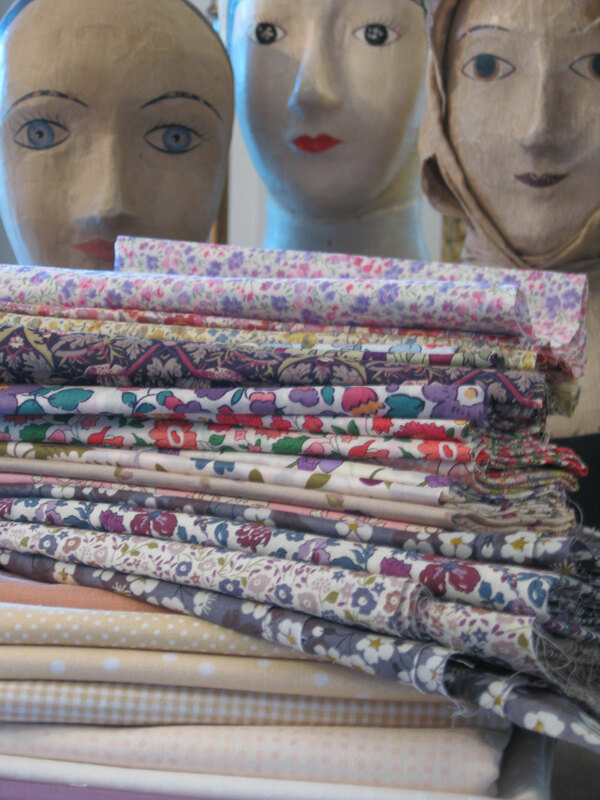 Those fabrics are going to be so fun to play with! I can't wait to see what you create. Have a wonderful Christmas with your family! Joyeuses fêtes, le quilt va être très beau dans ces tons doux. Soft and lovey. I look forward to seeing this quilt develop in 2015! 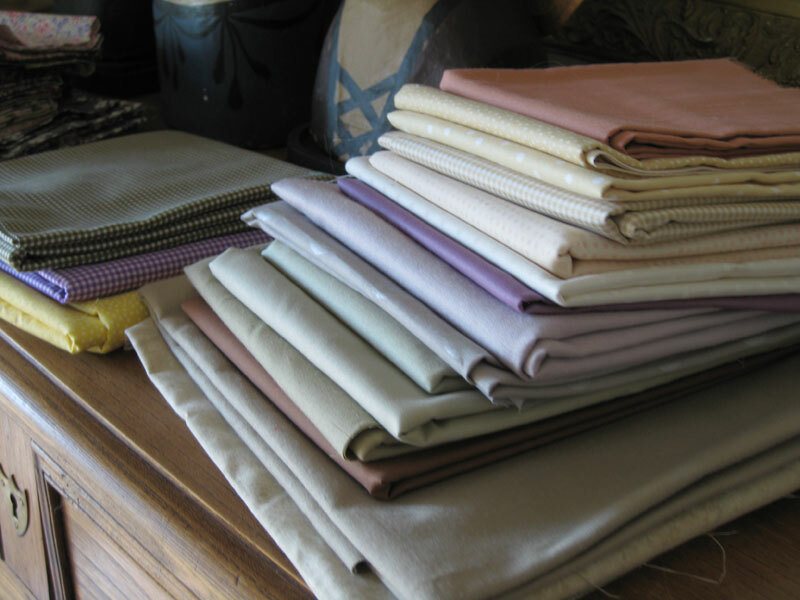 Bless your son for bringing you fabrics! Those are lovely, and I'm sure the Log Cabin quilt will be delightful. Have fun making merry at Christmas and in the new year.